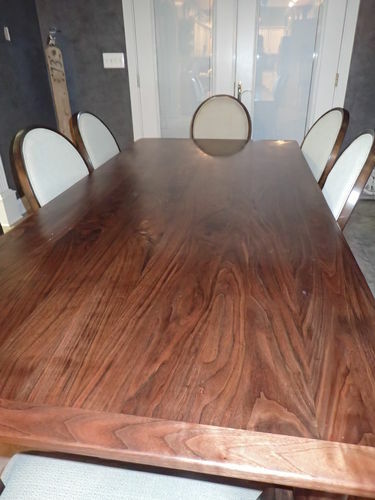 All Replies on Garnet shellac and arm-r-seal on walnut dining table, anything else? 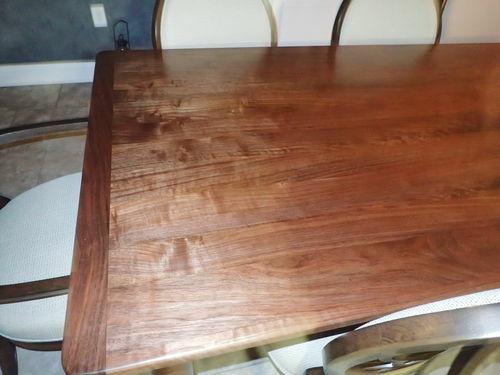 Garnet shellac and arm-r-seal on walnut dining table, anything else? Regarding the sapwood, dye works well since you can start with a very diluted dye and continue to apply it until you get the color you want. 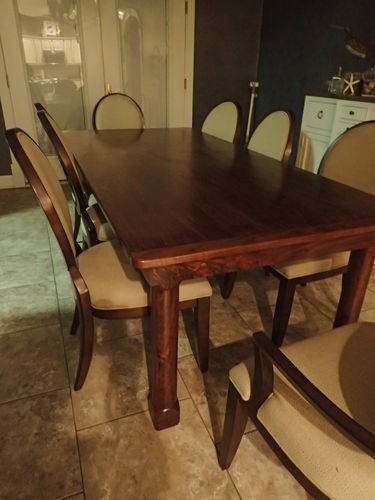 I have found that using dye followed with shellac and then Arm-R-Seal provides a great finish for a dining room table. As always, testing the dye (color and/or dilution) on a piece of scrap can save a BUNCH of time and grief. Might want to check out some of Charles Neil “trace coating” videos on YouTube, he is THE man when it comes to finishes. That is GORGEOUS! I’ll have to re-remember that slurry trick. Thanks all, I may pickup some transtint at the local shop. I was going to get some reddish brown to test some arts and crafts finish on some QSWO, but I wonder if that is too red for walnut.